Dr. Michio Kubota was born in Nihama, Ehime, Japan and he grew up mostly in Toyota, Japan. He attended Japan's Waseda University, and then Creighton University in Omaha, Nebraska where he earned his B.S. in Physics. He then went on to earn his D.D.S. from Creighton University's School of Dentistry. 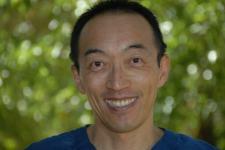 Dr. Kubota has been practicing in the East Valley since 1994. First in Phoenix, then as an associate of Bay Shore Dental Group. 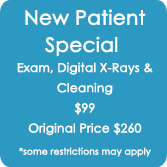 He opened Harmony Dental of AZ in the spring of 2006. On a personal note, Dr. Kubota places top priority on the well being and happiness of his family. Dr. Kubota is drawn to water, whether it is the oceans of Hawaii, or the inland lakes of the State of Arizona. He enjoys canoeing and kayaking at Saguaro and Canyon Lakes especially after the sun has set because it is at that time that he feels in harmony with nature. Dr. Kubota is a member of the Arizona Dental Association as well as the American Dental Association. 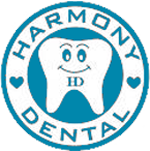 He invites you to join our "family" at Harmony Dental of AZ and experience dentistry in a more personal setting.